Hey girl. Are you lookin' for a reason to get all the party-goers howlin' this Halloween night? We might just have the thing. Looking for a wolf tail that defies science in more ways than one? We might just have the thing. Looking to make everyone, even the pets, at the party jealous. Yeah, we have the thing. 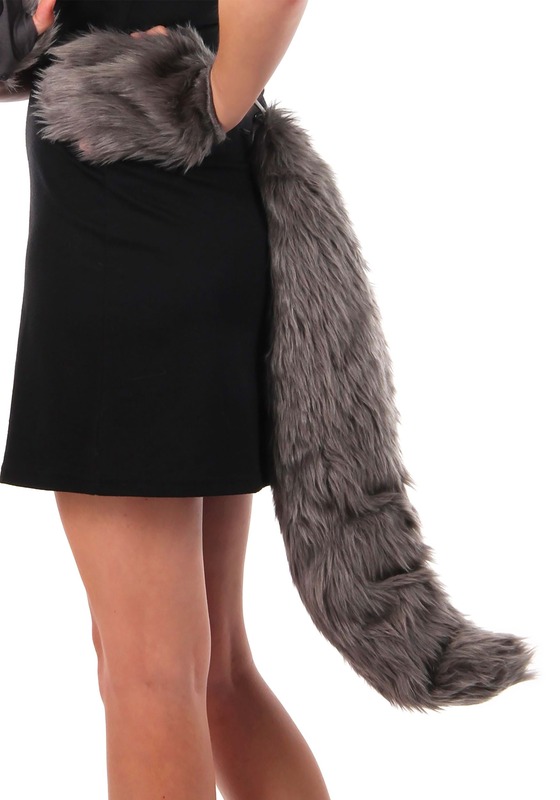 This deluxe oversized wolf tail is what you would call a statement piece—fluffy, long, fearsome. This thing will easily put all other tails to shame, sparking inside them an envy they can't act on because of the dominance conveyed as it sways back and forth behind you. This thing isn't found at your local supermarket. It's not in a single page of one of your science texts. It's rarely glimpsed in even the minds of the most creative horror fanatics, we hear. But look there, it's right here. And it could very simply be yours.